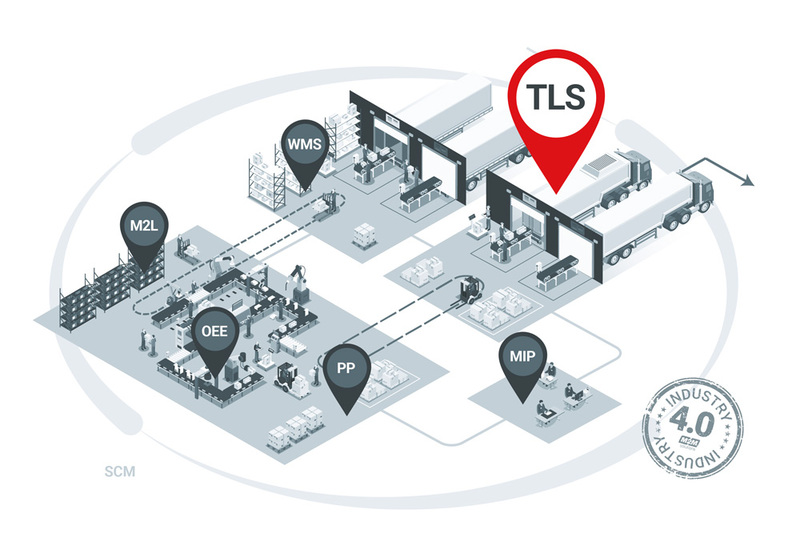 The Transport Logistics System provides the means to process component orders, to design an optimal delivery chain, ensure the order fulfillment and to manage the unloading process of the inbound vehicles. 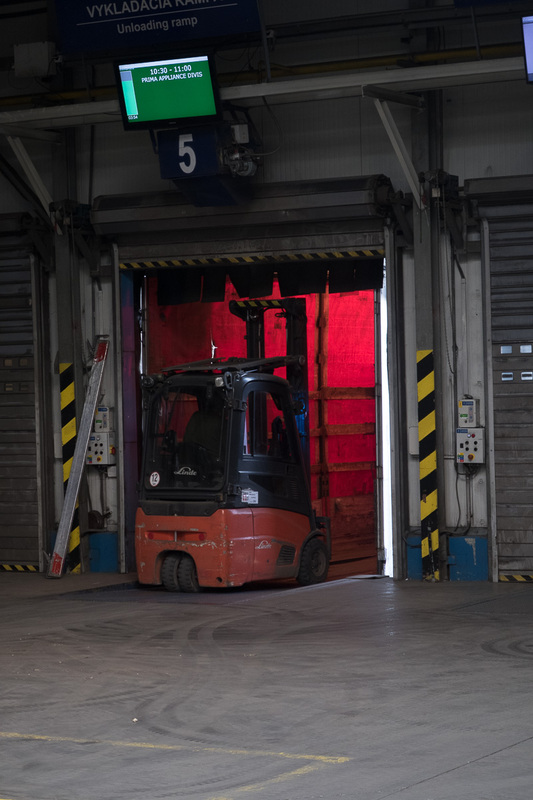 On the side of distribution of produced goods the system supports effective storage planning, preparation for loading into particular loading zones according to a transportation plan and a final control of the goods before these get sent off. 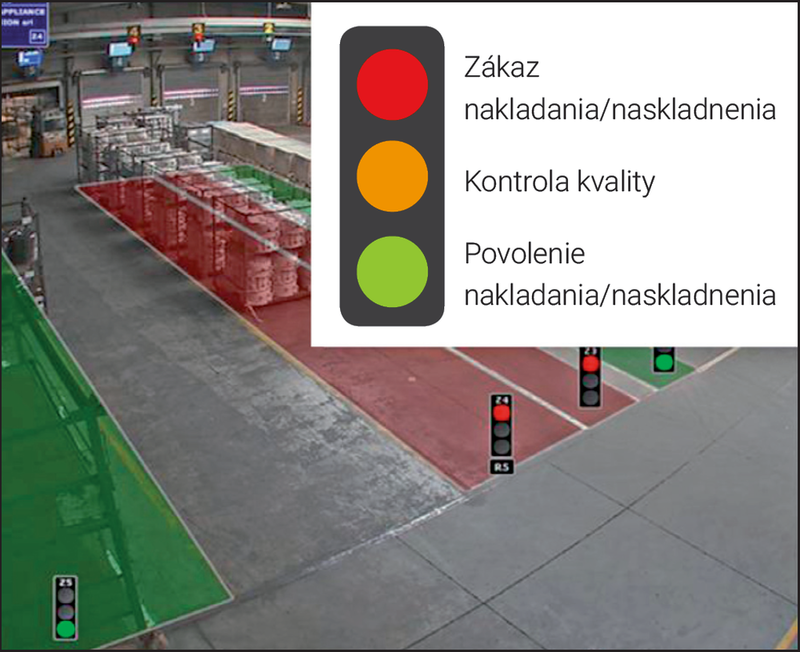 The whole process of preparation, loading and distribution is controlled by means of visual management tools. 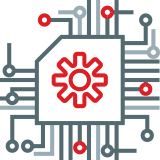 Seamless and quick integration with existing information systems. Use of enterprise ERP system information. Integration with GPS systems in cars. 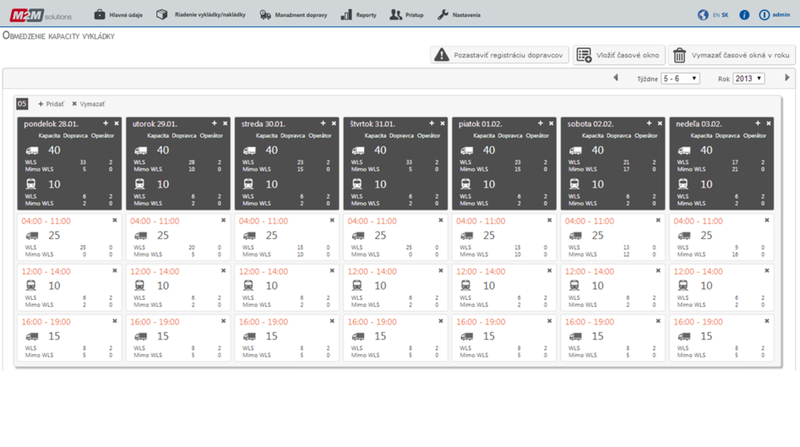 Transport request management. Optimal transport chain drafting and planning. Mandatory stock level control. A dispatcher or the actual carriers plan their arrivals into time windows to keep an even utilisation of the warehouse operators. These are displayed in a planning calendar. System provides a means to keep detailed records about carriers including the statistics of their reliability. Based on those, more reliable carriers get prioritized. 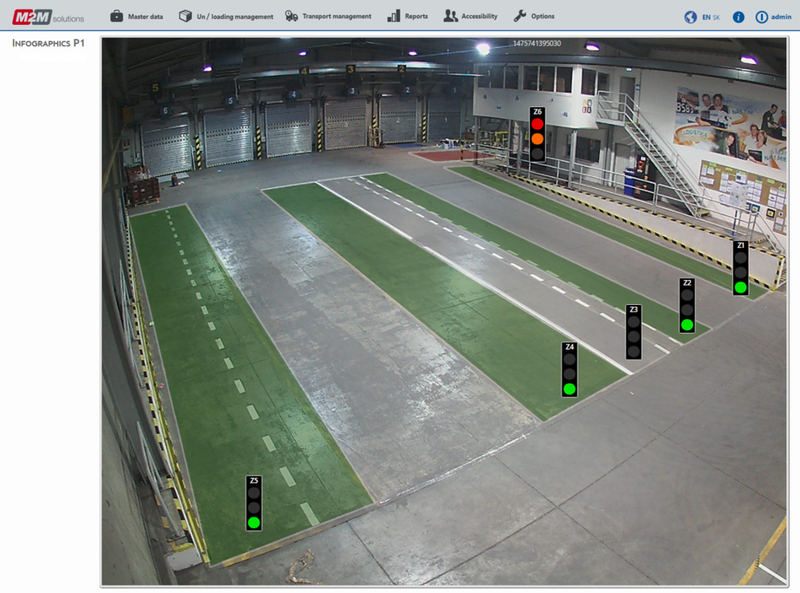 System provides a plan and visualizes the loading/unloading of vehicles, registration plate recognition. Planned vs. actual transport progress is displayed on oversize displays. Connected directly to the scale, the system monitors the quality of the inbound material comparing it to the delivery docket. Furthermore, recording quality of each inbound transport gives you a better idea of your suppliers.